"You can’t predict what a myth is going to be any more than you can predict what you’re going to dream tonight. Myths and dream come from the same place. They come from realizations of some kind that have then to find expression in symbolic form. And the only myth that is going to be worth thinking about in the immediate future is one that is talking about the planet, not the city, not these people, but the planet and everybody on it. That’s my main thought for what the future of myth is going to be. "And what it will have to deal with will be exactly what all myths have dealt with—the maturation of the individual, from dependency through adulthood, through maturity, and then to exit; and then how to relate to this society and how to relate this society to the world of nature and the cosmos. That’s what the myths have all talked about, and what this one’s got to talk about. But the society that it’s got to talk about is the society of the planet. And until that gets going, you don’t have anything. "When you see the earth from the moon, you don’t see any divisions of nations or states. This might be the symbol, really, for the new mythology to come. That is the country we are celebrating. And those are the people we are one with." "There's an Indian image. Three beings drank from a river. One was a God - he drank ambrosia. One was a man - he drank water. One was a demon - he drank filth. What you get is a function of your own consciousness." Diwali as we all know is a festival of lights. A festival which has its religious ceremonies, but is also marked by festivities, which involves, food, new dresses, rangolis (This is Utkarsh Speaking: Rangoli), illuminating homes and bursting crackers. 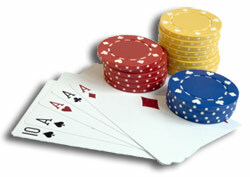 However curiously, it also marks the legitimacy of gambling. On the night of Diwali, tradition has it that gambling is a must and young and old, all sit together to gamble. Where do we look at, to find clues, but mythology? According to the legend, Parvati is supposed to said, that anybody who does not gamble on the night of Diwali, would be born as a donkey in his/her next birth! I find this practice and its association with the legend nothing but a contradiction. Diwali is traditionally a day when we worship wealth in the form of Goddess Lakshmi. This is a day when you light diyas and illuminate your homes to enable the goddess to spot your house and step into it, thus ushering in a year of prosperity. Gambling away wealth on this day is a contradiction of sorts. How does one justify such flimsy usage (or misuse?) of wealth and that too on this day? Wouldn’t it be dangerous to spite her by ensuring that you gamble ‘her’ on this day? Some have taken a high moral ground, by giving a philosophical interpretation to it. 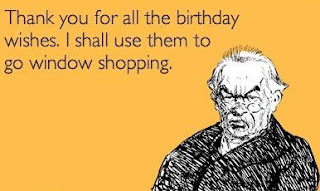 According to this school of thought, gambling on this day is to test one’s sense of control. One’s ability to keep dice as dice and not change it to a vice is being tested on this day. Sounds good, but just another justification for indulging in a vice, which is known for bringing down empires and the worst in mankind, and one doesn’t need to go far, mythology itself has a few obvious examples, the epic Mahabharata for one. Also, the myth referring to Shiva-Parvati playing dice does not mention anything about stakes, so justifying gambling of wealth is thus out of place. 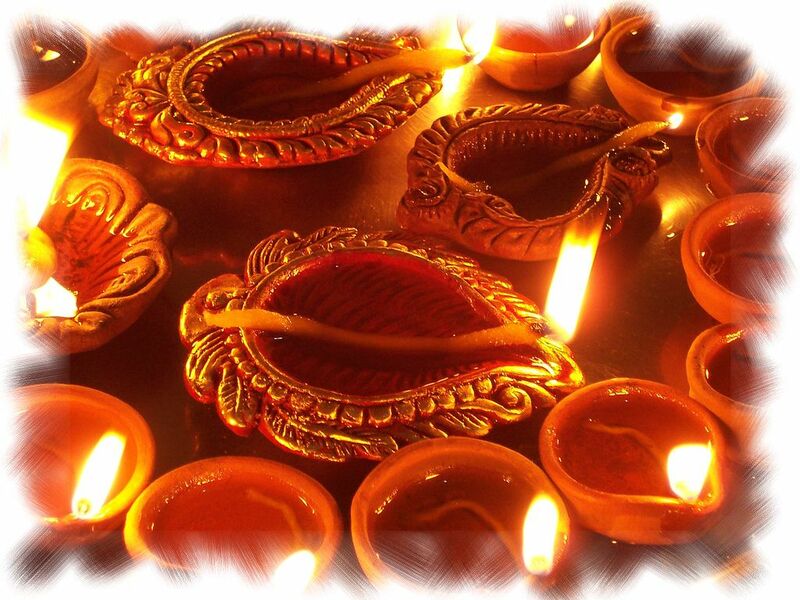 Diwali is a festival which has lots to celebrate about. Let’s all do it with the right spirit. Wealth is an important but temporary resource, and it pays to value it. Hindus are probably the only community which worships wealth, and this is done out of respect for it as against a crass display of materialism. I don’t think we should look for false pretexts to abuse it. A vice is a vice is a vice and there can be no two ways about it. Needless to say, that Lakshmi, is also known as ‘chanchala’ or the restless-one – I would rather find ways to make her stay at my place for ever, than allow her to leave me by disrespecting her!! My views on gambling are not didactic in nature, but to take recourse to mythology to justify such actions is quite unfair. Gambling, per se, is an act of individual choice, but keep it that way. Don’t look for vague justifications! Enjoy your Diwali, and take good care of the Goddess Lakshmi and don’t bet on her!! It was my birthday yesterday and many wished me on this day. But there was something about yesterday, which left me slightly disturbed. Not the ones who did not wish me, because they don’t operate Facebook on a Sunday and thus were not reminded! But something unsettled me. There was a time when I wanted my birthday every six months, but now I want them only once and that too every three years! I guess that’s what growing-up (some detractors might call it ‘ageing’ but I stick to my selection of words!) is all about. Well nobody listened to me then, so I guess no one is listening to me now and it comes with such religious regularity, that I feel like declaring myself calendar-agnostic, if there was one! What is it about age on birthdays, if it is not just another silver lining in the already much white cloud? If birthdays are about ageing, then why do we celebrate them? Birthdays are not losing years, but gaining on maturity (wonder why younger guys don’t get this!). Finally, I can’t help but quote one of the best known authorities on man’s age, Ms. Marilyn Monroe –“If a man isn’t a certain age, he just isn’t interesting.” So well said and she ought to know!! All the men ‘associated’ with her were definitely of a ‘certain’ age and more than ‘interesting’ who were more interested in her though! So all you guys, get ready for having to wish me again and again, till you have to raise those wrinkles off your eye-lids for me to see those eyes!!! But thanks for wishing me though, it would have been worse if you had forgotten!!! Let me tell you an interesting story with a slight twist to the tale at its tail-end! This is the myth of Sage Rishyasringa. 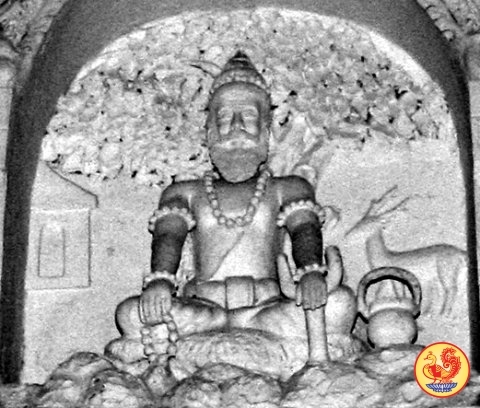 Sage Rishyasringa was the son of Sage Vibhandaka and apsara Urvashi. Once Urvashi was sent by Lord Indra to seduce Sage Vibhandaka and disturb his penance, by which he could have attained powers which Indra perceived as dangerous to the gods. Having broken Vibhandaka’s penance, Urvashi manages to seduce the sage, and from their union, begets a child who strangely, was born with a horn on his head. (Another version says that the child was born out of a doe, who had consumed the life-giving fluid of Vibhandaka which fell into the river on seeing Urvashi, and thus the horn) The child was thus named Rishyasringa (rishi – sage, shringa – deer horns). Sometimes he is even referred to as Ekshringa, implying that he had one horn. Soon after giving birth to the child, Urvashi goes back to the heavens, her task accomplished. This leaves Vibhandaka very bitter and he takes a dislike to the entire woman-kind. Since, his penance was disturbed by a woman, and he was left with a motherless child, he decided to bring up his son in the absence of any woman. Vibhandaka set up his hermitage in the midst of a jungle and started living there with his son, Rishyasringa, who was educated on all the scriptures and Vedas, but had not seen any human being (read women) besides his father. Once there was a famine, in the nearby kingdom of Anga (present day Bihar), ruled by King Lomapada. The King was advised that there would be rains in his kingdom only if a Brahmin who had observed absolute chastity visited the kingdom and was referred to Rishyasringa. The king sent beautiful damsels to fetch Rishyasringa from the jungle and Rishyasringa was surprised to see the lovely ladies as he had never seen such beauty in his life. 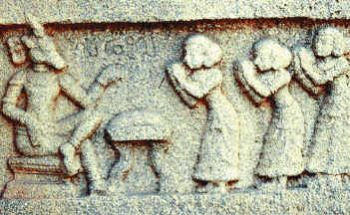 Fortunately, Sage Vibhandaka was not in the hermitage and on hearing the need, Rishyasringa, came along with the ladies. No sooner had he stepped on to the grounds of Anga, there was a heavy downpour. The King was pleased and so were his subjects. The king decided to offer his daughter, Shanta, to the sage as a wife. Later Sage Vibhandaka came to know about the ploy and was extremely angry. But he accepted everything as fate and concluded that this was inevitable and that the principle of male and female forces can never be separated, no matter what. Rishyasringa and Shanta got married and stayed on at Anga, till it was time for their vanaprashtha, retirement to the jungles. King Dasharath of Ayodhya was a friend of King Lomapada and was without any heir, in spite of having three wives. When Dasharath was advised to perform a Putra-kameshti (for begetting a son) Yagna, it was decided that they would invite Sage Rishyasringa to perform the yagna. If was after this yagna, that Dasharath was blessed with the birth of his four sons, Ram, Lakshaman, Bharat and Shatrughan. Did I hear, so what is the twist? This daughter of King Lomapada, Shanta, was actually the daughter of King Dasharath! It is said, that Dasharath and Kaushalya, the first wife of the King (and Lord Ram’s mother) had a daughter who was born with a defect in her legs. The medics of the times could not do anything to remedy the defect, till Sage Vasishtha suggested that the daughter be ‘donated’ or given for adoption to some divine couple. Thus Shanta was given to King Lomapada and soon Shanta was cured of her handicap and later married to Sage Rishyasringa. This means that Shanta was none other than Lord Rama’s elder sister and the first born of King Dasharath. Some versions do not mention anything about the handicap. The Queen of Anga, was Vershini who was also the elder sister of Kaushalya. Once in Ayodhya, Vershini asked for an offspring, in jest, since she too had no child. To this King Dasharath agreed to allow his daughter, Shanta, to be adopted. The famine in Anga is also partly blamed on Shanta. According to this version, once when Shanta and King Lompada were busy talking, a Brahmin approached the King for some help for the forthcoming monsoon. The king was too busy to speak to him, which infuriated the Brahmin, who left the palace. This further angered Lord Indra, who decided to withhold the rains! This raises a few questions. Why has there been no focus on Shanta in the entire Ramayana, except for some obscure places prior to the Putra-kameshti yagna to be performed by King Dasharatha and that too not at the primary level, but with reference to Sage Rishyasringa? Is the handicap attributed as the main cause for adoption an afterthought or was it true? 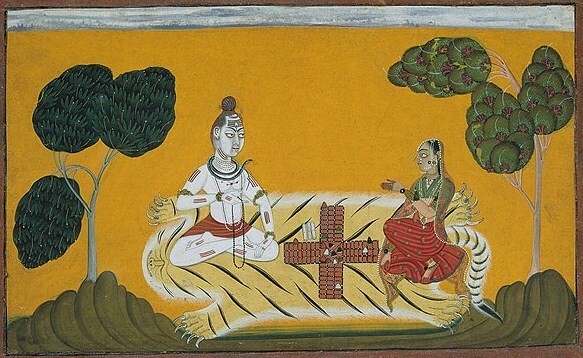 The adoptive parents were to be a divine couple, but there was nothing divine about King Lomapada and Queen Vershini. Does this in any form say something about the unwanted-ness of the girl child or is it something not worth debating? Though Valmiki Ramayana does not focus much on Shanta, except for a conversation between Dasharath and Sumantra prior to the yagna, Bhagvata Purana talks about Shanta. In the town of Kigga, near Sringeri in modern day Karnataka, India, is a temple of Sri Malahanikareswhwara. ‘Shingeri’ also derives its name from Rishyasringa. 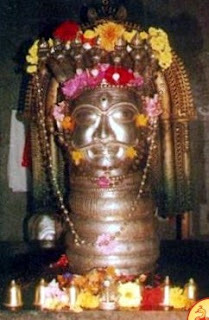 The shiv-linga in the temple is supposed to be the linga which was worshipped by Sage Vibhandaka and later Sage Rishyasringa. After living his life, Rishyasringa is supposed to have disappeared in the linga and thus the linga is supposed to have a horn. There exists another such temple in the Kullu district of Himachal Pradesh which has the idols of Rishyasringa and Shanta!